This is an acrylic painting on a hardboard panel. This painting measures 11″x 14″. This painting simply depicts a little spit of land jutting into the Halifax River, also called the Intercoastal Waterway, near a tiny town called Harbor Oaks. This is the view I saw ever morning on my way to work, just as I was crossing a bridge, while driving on US 1. As much as I love living in Colorado, Florida had more then it’s fair share of magical moments that I felt blessed to experience, as well. 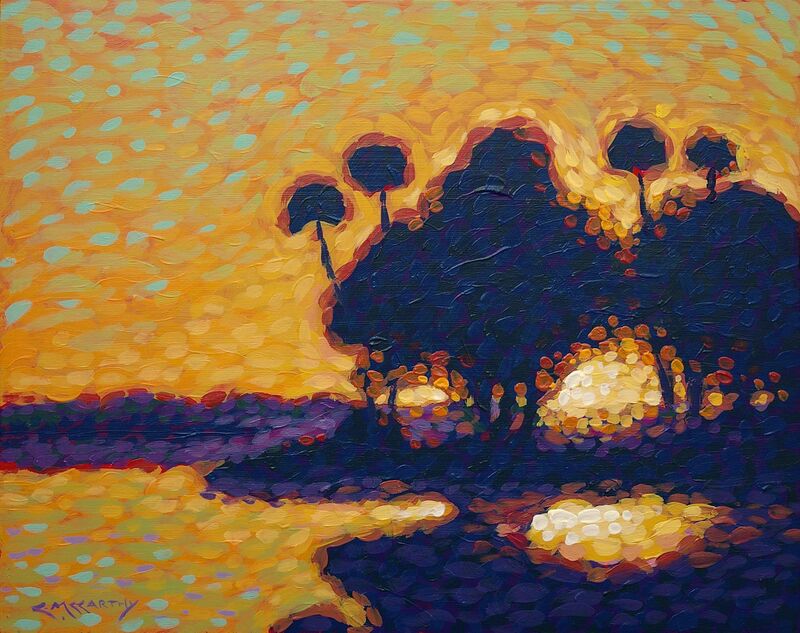 I completed this painting using a loose, more Impressionistic approach to pointillism. This painting is being sold unframed.